How long have you been using the same toothbrush for? One month? Six months? Has it been so long that you can’t remember? Although your old toothbrush may look fine, if you aren’t replacing your toothbrush every 3-4 months you may be seriously damaging your oral health. The human mouth is populated by a diverse biome of microorganisms, including hundreds of types of bacteria and fungi. A recent study identified 141 different species of bacteria in its subjects’ mouths, including harmful streptococcus bacteria, the cause of strep throat. The longer you use your toothbrush, the greater the chance that it will harbor colonies of your oral bacteria. 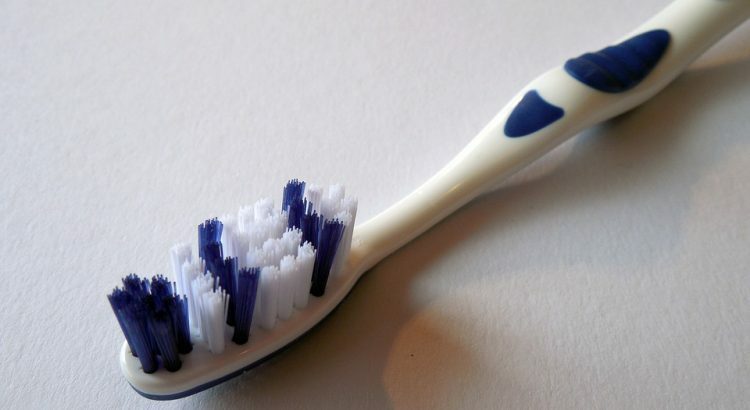 A bacteria-covered toothbrush no longer effectively cleans your mouth. Failure to effectively control the population of your mouth bacteria can lead to problems like gingivitis, receding gums, bad breath and tooth discoloration. Gingivitis and gum recession, if left unchecked, may eventually cause tooth loss. The potential consequences don’t just affect your oral health, either. Studies have shown that infections from excessive oral bacteria are linked with cardiovascular disease and certain types of cancer. Bacteria can infect your toothbrush from sources other than your own mouth, as well. Bathrooms are a breeding ground for coliform bacteria like e-Coli. A toothbrush stored in the bathroom for too long has a good chance of harboring coliform bacteria. These sorts of bacteria cause highly uncomfortable infections, with common symptoms including fever, vomiting, and diarrhea. To avoid inadvertently turning your toothbrush into a haven for microbes, you need to replace it regularly and store it properly. The American Dental Association and the Centers for Disease Control both recommend that toothbrushes be replaced every 3 to 4 months. If you find that your toothbrush bristles become frayed faster than that, replace your brush when it starts showing wear. Never share toothbrushes, as that will expose you to other people’s oral bacteria. Every person has a unique set of microbes in their mouth, and bacteria that are harmless for one person may cause infection in another. After brushing your teeth, rinse off your toothbrush to remove debris and toothpaste. Store it upright to dry, being careful to make sure it doesn’t touch other brushes. Don’t cover your toothbrush for extended periods of time. This traps humidity and creates a breeding ground for germs. Despite the risks associated with bacterial contamination of toothbrushes, there is no evidence that dipping them in a disinfectant solution has a positive effect on oral health. In fact, harmful cross contamination can result if multiple people use the same container of sterilizing solution. The CDC also advises against using microwaves, dishwashers or ultraviolet devices to sterilize brushes, as these machines can cause damage to the brush. Regular tooth brushing is necessary to maintain proper oral health, but if you fail to keep your toothbrush clean you may actually be doing harm every time you brush. If you follow the tips in this article, you can be sure that you get the maximum health benefit from your oral hygiene regimen.